In order to maintain normal physiological levels of testosterone during androgen replacement therapies, injections of testosterone enanthate are usually required at least every two weeks, although more meticulous physicians will administer the drug weekly. 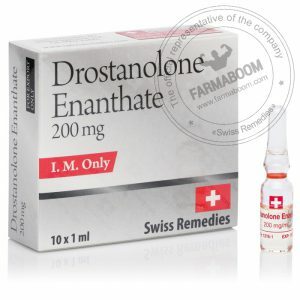 As with all testosterone injectables, testosterone enanthate is highly favored by athletes for its ability to promote strong increases in muscle mass and strength. 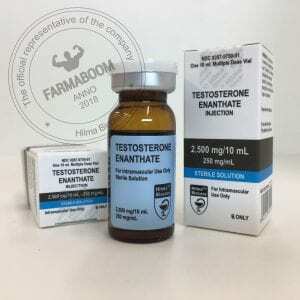 Testosterone enanthate is a modified form of testosterone, where a carboxylic acid ester (enanthoic acid) has been attached to the 17-beta hydroxyl group. 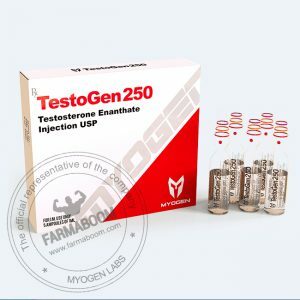 Esterified forms of testosterone are less polar than free testosterone, and are absorbed more slowly from the area of injection. Once in the bloodstream, the ester is removed to yield free (active) testosterone. 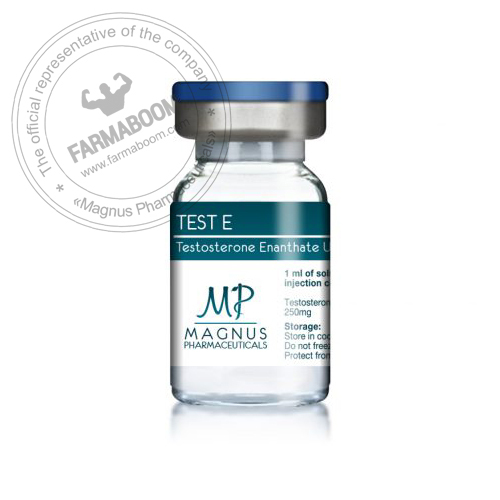 Esterified forms of testosterone are designed to prolong the window of therapeutic effect following administration, allowing for a less frequent injection schedule compared to injections of free (unesterified) steroid. The half-life of testosterone enanthate is approximately eight days after injection. Testosterone is readily aromatized in the body to estradiol (estrogen). The aromatase (estrogen synthetase) enzyme is responsible for this metabolism of testosterone. Elevated estrogen levels can cause side effects such as increased water retention, body fat gain, and gynecomastia. Elevated levels of testosterone are likely to produce androgenic side effects including oily skin, acne, and body/facial hair growth. Men with a geneti predisposition for hair loss (androgenetic alopecia) may notice accelerated male pattern balding. Anabolic/androgenic steroids can have deleterious effects on serum cholesterol. This includes a tendency to reduce HDL (good) cholesterol values and increase LDL (bad) cholesterol values, which may shift the HDL to LDL balance in a direction that favors greater risk of arteriosclerosis.